Racing Recap: 18′ Skiffs are part of the fleet! Home/18' Skiffs, All News, Summer Series/Racing Recap: 18′ Skiffs are part of the fleet! 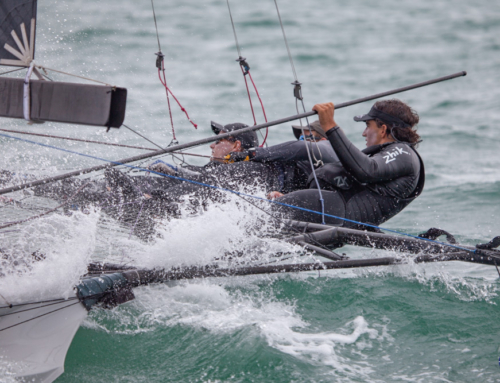 A gusty 15-20knot West to South West wind marked the beginning of the 2015/16 season and the Auckland Sailing Club’s amalgamation with Royal Akarana Yacht Club. Five boats managed to make the opening races after a quick turn around from the boats returning from another San Francisco battering. Knight Frank claimed the win in race 1 but it wasnt with out its luck/good management. 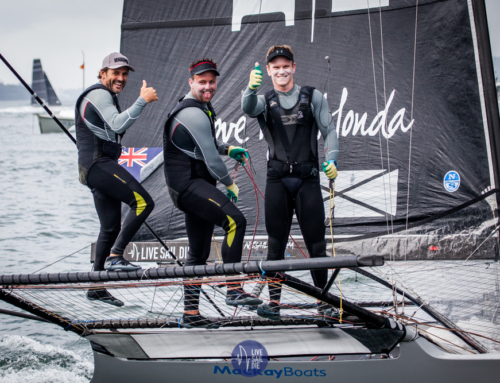 Yamaha held a handy lead at the wing mark off Devonport but broke their bobstay during the hoist, forcing them to sail with out their gennaker for the rest of the day. ASCC claimed the lead around the bottom mark off Tamaki Yacht Club followed closely by C-tech then Knight Frank. Working their way back to the top mark in Mechanics Bay Knight Frank managed to get some leverage and pass ASCC and C-tech to claim the win. ASCC rounded out second place in their revamped boat, C-tech third. C-tech dominated Race 2 after a extended at the top of the first beat, which allowed them to round the top mark in good pressure and extend on the reach to Devonport. 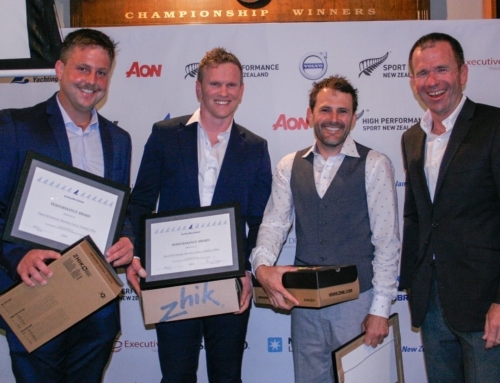 Knight Frank rolled Events Clothing on the reach to move into a comfortable second place. Knight Frank managed to close the gap by the finish in a dying breeze, but it wasnt enought as C-tech claimed the win. Muzzy made a great speech at the prize giving officially introducing us to the rest of the fleets. We definitely made an impression.